A Kitchener, Ont. nurse who was fired in 2016 after admitting to stealing and using opioids from the care home where she worked will get her job back. She'll also be compensated for injury to 'dignity, feelings and self respect.' But the ruling by an arbitrator concerns one labour lawyer. Woman's return to work 'a success story,' Ontario Nurses' Association says. The move comes after the woman's case went to an arbitrator between her union, the Ontario Nurses' Association, and the Region of Waterloo. Arbitrator Larry Steinberg wrote the woman's addiction was a disability and the region "violated the procedural duty to accommodate" the nurse. Along with saying the region should give the nurse her job back, Steinberg said the woman should be "compensated for any losses including general damages for injury to dignity, feelings and self-respect." It's that compensation that has other employers worried, says Toronto-based labour and employment lawyer Muneeza Sheikh. "I think it's ridiculous. I think the decision is completely absurd," Sheikh told CBC Radio's Metro Morning. "What makes it absurd, what makes it ridiculous is you essentially have a home care, a long-term facility, which has an obligation to ensure that the patients are safe," she said. "Yes, you have an obligation to accomodate [employees with problems], but not to the detriment of your business." An investigation was launched and DS was put on paid leave. Later that same month, DS required surgery for kidney stones. A few days after surgery, DS was admitted to hospital "as she was going through severe withdrawal from the use of narcotics." The Region of Waterloo declined to comment on the case, saying it doesn't discuss human resources issues. "We encourage staff going through any type of health issue to speak with their manager so that supports and accommodation can be provided in accordance with policies and legal obligations," the statement said. 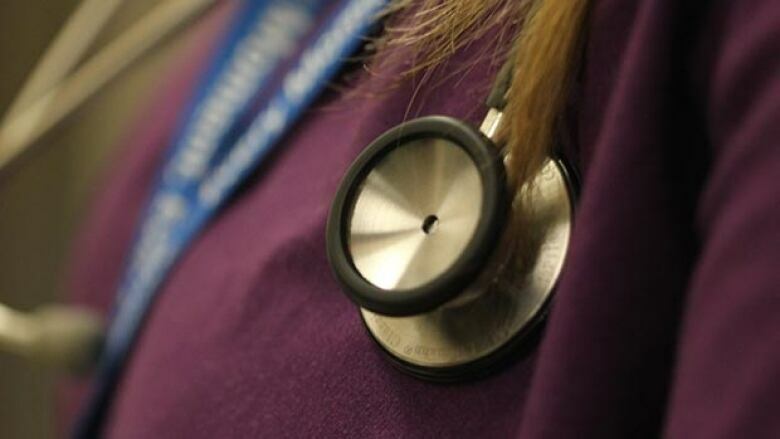 The Ontario Nurses' Association (ONA) said it was pleased with the arbitrator's ruling. In an emailed statement to CBC News, they said the outcome "is a success story." "The RN (registered nurse) involved readily admitted her illness, sought treatment and has adhered to her recovery plan," the ONA statement said. "ONA supports the RN's return to work, as having an addiction or a mental health condition should not keep an RN, or any employee, from continuing in their chosen field if they have received the appropriate treatment, are successfully continuing with their recovery plan and are deemed fit to return to work by health care and regulatory professionals." Sheikh said this is a case other employers will look to and she wouldn't be surprised if it's not over. "There's been irreparable damage to the employment relationship because the employer can't trust her anymore," she said. "You have patient care at significant risk, and I think that's why you see a number of employers at the labour bar who are extremely concerned about what this decision might mean." The region has not indicated if it plans to appeal the arbitrator's decision. But this isn't the first case of a healthcare worker getting treatment for addiction being allowed back to work, says Yelena Chorny. She's a physician who works in addiction medicine service at Homewood Health Centre in Guelph, which has the only Canadian in-patient program dedicated to treat addiction in healthcare professionals. "Because they have experience and a comfort with either prescribing or administering certain medications like opioids or sedatives, that gives them a false sense of confidence or security about their ability to control the use of that and to understand how that works in their own body," she said. There are also increased barriers to getting help, Chorny says. That includes being afraid of how their regulatory college will respond if they admit their addiction, losing their jobs, not being there for patients and fear of the public shame they'll feel when colleagues find out. "With health care providers, there's an extra layer of feeling like they should know better and therefore, they should be able to do better on their own," she said. It's recommended healthcare providers enter intensive, residential treatment to deal with their addictions. Then afterwards, they're monitored by their professional colleges. She doesn't know the nurse in this case, but has seen similar cases and Chorny says healthcare workers who get treatment for addictions deserve a second chance. "The vast majority of these people will go back, will be healthy healthcare workers, want to be able to prove to themselves and to other people that they can be responsible and that they can make up for the time that they were in their active addiction," she said.